More with Rick McNeal about his time during the original Nelson & McNeal morning show with Paul Nelson. 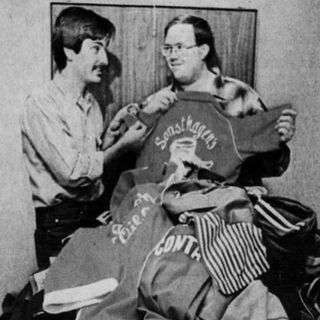 Stories include Greg Koch and the bowling shirts and the very first Menasha St. Patrick's Day Parade. Remember to subscribe to ensure you receive every episode of the series. The views and opinions expressed during the 40 For 40 podcast do not necessarily reflect those of WAPL-FM or Woodward Communications. No part of this podcast may be reproduced in any form or by any means ... Maggiori informazioni without the prior written permission of WAPL.